The ESO is committed to protecting your privacy. We will use the information that we collect about you in accordance with the EU GDPR and the Privacy and Electronic Communications Regulations 2003.  The English Symphony Orchestra is a national arts organisation and a registered charity. We receive project based funding from Arts Council England and other trusts. The rest of our income comes from ticket sales, sponsorships and individual donations. ESO (2006) Ltd. is a Charity Registered in England and Wales number 1119621. Its trustee is Southbank Centre Limited, a company limited by guarantee registered in England and Wales number 5908862. You give us your information when you buy a ticket, make a purchase from our shop, buy something online or on our website, sign up for one of our events, tell us your story, make a donation or communicate with us. We also keep your details when you sign up to receive email from us. If you have signed up to our newsletter we will note this in your customer record. For more information on Access Scheme please email our development officer. Like most websites, we receive and store certain details whenever you use the ESO website. We use “cookies” to help us make our site – and the way you might use it – better. Cookies mean that a website will remember you and enable online transactions. It also helps us understand how you use our website, where we can make improvements and how best to tell our audiences about events they might be interested in. What are cookies? Depending on your settings or the privacy policies social media and messaging services like Facebook, LinkedIn or Twitter, you might give third parties (like ESO (2006) Ltd.) permission to access information from those accounts or services. Your personal data will be held and processed on ESO’s systems or systems managed by suppliers on behalf of Southbank Centre. We maintain a customer relationship management (CRM) system to hold contact details and a record of your interactions with Southbank Centre such as ticket purchases, donations, memberships, queries, complaints and attendance at special events. Where possible we aim to keep a single record for each customer. Your data is always held securely. Access to customer information is strictly controlled. The CRM system can only be accessed by people who need it, to do their job. Certain data, for example some sensitive information, is additionally controlled and is only made visible to members of staff who have a reason to work with it. If you make a purchase, sign up for an event or give a donation we usually collect your name, contact details and your bank or credit card information (if making a transaction). Where it is appropriate (and you have the right to decline to give this information) we may also ask for your age, gender, ethnicity, information relating to your health or, if making a donation, why you have decided to donate to us. With your consent, we will tell you about events, concerts, shop offers, and priority booking. Occasionally, we may include information in these communications from partner organisations or organisations who support us. We make it easy for you to tell us how you want to hear from us by telling our Office team via email or phone. You can opt out from these marketing communications at any time – every email sent to you will tell you how to do this. We do not sell personal details to third parties for any purpose. If you have opted out of marketing communications, we may still get in touch with you. For example we may email you to give you important information about the events you’ve booked or to tell you about any changes. The ESO relies on charitable support to maintain our world-class programme and to make this available to everyone. You can request not to be contacted about current campaigns that we feel will be most relevant to you by contacting one of the Development Team over the phone or in person. These campaigns detail ways that you can make a real difference to our education programmes, and invitations to events where you and your family can get closer to our artistic programme by joining one of our Supporters Circles or Patrons Groups. We want to ensure our communications to our supporters are personal, relevant and timely and we want to give you an enhanced experience. We may analyse geographic, demographic and publicly available information relating to you in order to better understand your interests, to send you the most relevant communications and to give you an exceptional experience at our events by introducing you to artists or members of staff that we think you might enjoy meeting. Our donors tell us that tailored and relevant communication is a priority for them and we constantly review this and listen to you to make sure we are getting this right. In addition, we invite some people who might be interested in joining one of our supporter groups to special events eg. drinks receptions or rehearsals or to tell you about extra benefits including priority booking. Guests we invite might include current supporters, Members, people who have given donations in the past, audiences who attend concerts and events regularly, audiences who have identified specific programme interest, friends of current supporters, our Board and staff. We make sure that our invitations are appropriate and cost effective by conducting research and analysing our database which might include looking at audience members’ ticket history, address and previous donations as well as publicly available information (including newspaper articles, listed Directorships, social media profiles and biographies on employers’ websites). We may share anonymised personal information with other organisations, particularly Arts Council England, who use this to analyse our audience development programmes, ticket sales and self-generated funding to understand the impact of the public investment made with the ESO. We will never share any sensitive data with any party. If you would like us to stop sending your data to our partners, contact us via email us, write to us or call us. If we have already given your data to another company, we can’t remove you from their mailing list. To opt in or out of marketing or other communications from another company, please get in touch with them direct. They should always provide instructions for opting out in any marketing or other communications you receive. If you need help, please contact us using the details in the ‘contact us’ section below.